DATADVANCE webinar—New in pSeven 6.8: SmartSelection, model smoothing and other new features, August 30, noon Moscow time. Presenters: Alexander Prokhorov, Head of Software Development, & Dmitry Frolov, Marketing Director, DATADVANCE. Webinar attendees will learn about new features in the latest release of the pSeven design space exploration software platform that improve product performance and reduce design lead time: new SmartSelection technology in Predictive Modeling Toolkit, smoothing for approximation models, remote launch for Windows with pSeven Agent, and task manager-like features to control workflow execution. Register here. Structural components made of glass-fiber reinforced plastic (GFRP) fabricated into complex-profile linear shapes are widely used today in aerospace, civil infrastructure and other industries. Examples include aircraft structural components, elements of power line support structures, and bridge structural elements such as beams, decking and girders. Although somewhat more expensive than comparable components made of traditional materials such as metals, concrete or wood, polymer composite structures can have decisive advantages over their traditional counterparts, especially where weight or corrosion resistance is critical. However, they still need to be cost-effective. One way to achieve this is by taking advantage of GFRP’s ability to be fabricated into large integral structures with lower production costs than counterparts made of traditional materials. While feasible and already applied in various industries today, this approach requires sound understanding and control of the fabrication process to avoid process-induced shape deformations. When the dimensions of finished items fall outside specified limits, misfits or clashes result when assembling components of complex structures. Predictive Modeling and Optimization in the Era of Digitalization conference, September 30, Paris. Hosted by DATADVANCE, the conference will provide an overview of recent breakthroughs in predictive modeling and simulation in aerospace, automotive, energy and other industries. Attendees will learn about innovative methods in simulation and data analysis, hear keynote speakers from Airbus and other leading companies, benefit from cross-industry exchange of experiences, and discuss the future of simulation and data-driven design. Registration is free. Agenda and registration information here. DATADVANCE is adding new features and functionality to its pSeven design space exploration software platform at a lightning pace. pSeven 6.6 Release was unveiled April 5, followed by pSeven 6.7 three days ago. Highlights of the two releases include a new interactive Predictive Modeling Toolkit built on the company’s pSeven Core algorithms (formerly called MACROS), new ANSYS Workbench integration, and a rich array of feature updates and enhancements to further increase pSeven’s performance, stability and ease of use. DATADVANCE presented pSeven Cloud, the first full-cloud design space exploration platform, at the NAFEMS European SPDM Conference held Dec. 2-3 in Munich. 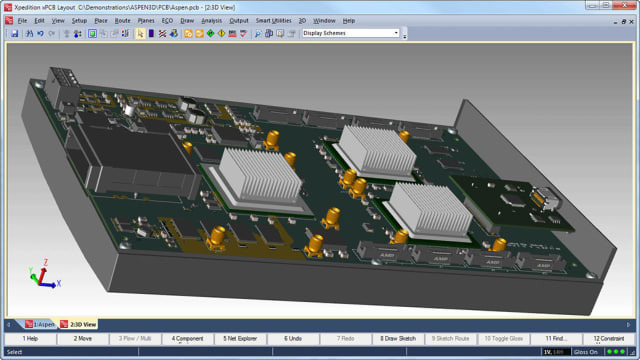 pSeven Cloud is part of the emerging new generation of full-cloud design and simulation software tools such as Onshape, SimScale and Sim4Design. DATADVANCE CEO Sergey Morozov showed how pSeven Cloud complements those design and simulation tools by adding the critical capability of design space exploration, essential for implementing simulation-driven design methodology. Based on DATADVANCE’s efficient, production-proven data analysis and optimization algorithms, pSeven Cloud features the company’s SmartSelection™ metaheuristics that automatically selects the most appropriate and efficient analysis or optimization method based on the user’s description of the problem. Request an invitation for pSeven Cloud.